Proponents of genetically engineered crops (often called GMOs) often decry the anti-GMO movement for promoting implausible conspiracy theories. I’ve been blocked on Twitter by people claiming the Department of Agriculture and Supreme Court of the United States were simply pawns of Monsanto and the pesticide industry. I’ve pushed back against those saying that pesticides are the cause of microcephaly (instead of the Zika virus). I’ve written blog posts explaining the evidence that debunks some of these improbable stories. Spreading these conspiracy theories is irresponsible, and it is frustrating to see these wild theories circulating, especially when they’re promoted by people who should know better. But lest anyone think that self-proclaimed “pro-science” GMO supporters are immune to wild conspiracy theories, one needs to look no further than the repeated appearance of unapproved GMO wheat varieties over the last several years. Since 2013, there have been at least 4 examples where wheat plants exhibiting GMO traits have been found growing in the field. The situation has been quite similar in all four cases: 1) a small number of scattered plants are noticed because they survive a glyphosate application, 2) the plants are reported to authorities who confirm the GMO trait, 3) an investigation takes place, but 4) the origin of the GMO plants can’t be definitively identified. Unfortunately, there’s one more common thread in all of these cases: people who should know better promote the idea that the GMO wheat plants must have been planted by anti-GMO activists. I am not aware of any evidence whatsoever to support the idea that anti-GMO activists could be responsible for these GMO wheat findings. I suppose is isn’t too much of a stretch to envision anti-GMO activists wanting to disrupt the US or Canadian wheat markets by planting some ill-gotten GMO seeds. But this conspiracy scenario requires a baffling number of unlikely assumptions to all be met for a saboteur to be successful with this plan. First, activists would have had to locate and steal GMO wheat seed at some point in the past – based on the time frame when these traits were being actively field-tested, probably over 10 years ago. Then, instead of planting them and disrupting the markets shortly thereafter, they just decided to wait. For like, 10 years or more. After waiting those 10+ years, they decided implement phase 2 of this devious plan, and throw some seeds into a field to disrupt the market. But they couldn’t be thrown into just any field! These are very valuable stolen seeds, so choosing the right field is a critical part of the plan. In order to ensure these GMO plants were found, the seeds would have to be placed in a area that was going to be sprayed with glyphosate. If they were tilled or sprayed with another herbicide or another crop of wheat or lentils or beans or anything else were planted, the GMO plants wouldn’t have been noticed and the plan would be ruined. So the GMO wheat seeds would need to be planted in a field that was going to be sprayed with glyphosate. 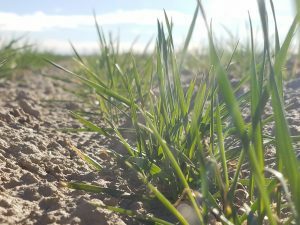 But they couldn’t wait until they heard about a field going to be sprayed and hurriedly throw them out there – the seeds would have to be planted in that field many weeks (or even months if it was winter wheat seed) before the herbicide was sprayed in the field. Finally, the saboteur would have to hope that whoever was spraying or farming the area would even notice the surviving plants in the first place but then also report the surviving plants to someone who would test for the trait. I have to give credit where it is due – if this actually happened, it represents more forethought and planning and effort (not to mention a hell of a lot of luck) than anything I’ve ever done in my entire life. It is pretty remarkable (and implausible) that this kind of devious plan would work. I was really skeptical when this theory was proposed in 2013, but it becomes even more implausible each time GMO wheat is found. They didn’t just successfully implement this unlikely plan, once – oh no. The devious actors somehow made this plan work FOUR SEPARATE TIMES in Oregon in 2013, Montana in 2014, Washington in 2016, and now again in Alberta in 2018. Occam’s Razor is a principle that basically states that if there are multiple possibilities to explain a phenomena, the simplest explanation (or the one with the least assumptions and complexity) is most likely to be true. This ‘simple’ principle is extremely useful to scientists, not because the simplest explanation is the most likely to be true, but because the simplest explanation that relies upon the fewest assumptions is usually the easiest to disprove or falsify. And this is how science typically progresses – we develop a hypothesis, and attempt to disprove the hypothesis with evidence and data. We start with the simplest explanation, then if that is ruled out, we can move on to a less simple explanation. Going straight to the explanation with the most unlikely assumptions just doesn’t make sense if simpler, more plausible explanations are not yet disproven. In the case of GM wheat being found, there are far less complex explanations for how a few stray GMO wheat plants could be moved around than sabotage. These may not be obvious for crop scientists and others who typically think of plants growing only where they’ve been planted. But weed scientists are quite used to finding new, small patches of a plant that shouldn’t be there. We know that seeds move around quite readily, and complete prevention of their spread is almost impossible. Seeds can be moved with farm equipment, or on vehicle tires, or eaten by animals (then pooped out somewhere else), or moved with soil, or shipped with grain, or baled with straw, or by any number of other transport mechanisms. So although it may seem odd to find wheat plants near an access road to an oil rig in Alberta, I don’t think any weed scientist would be surprised to hear that. We pretty regularly see wheat and rye and other cereal crops growing on the side of the road. But how did multiple GMO seeds get to that site? From what I can tell from the reports that are available, this has been a common thread through all of the findings – GMO wheat has consistently been found in small, somewhat scattered infestations.1 Perhaps the fact that multiple plants are found not in planted wheat rows, but in a scattered, random-seeming pattern causes some to think that it must have been scattered there by hand by a saboteur. But this assumes that the plants found and reported to authorities is the first generation of plants on the site. As an agronomist and weed scientist, if I see a small, scattered area of plants, I would surmise that the clumps being discovered are not the initial propagules on the site; rather, they are more likely to be the second (or third) generation that has existed at the site. This is common when we first discover a new invasive plant, or a new weed in a field, or a new herbicide resistant population in the field. We almost never see the very first plant. It often goes undetected, produces seed, and then the next generation shows up in a small patch. This size and number of this patch of plants will depend on the number of generations that have been in the field, but also by what kind of field operations have occurred. Tillage, harvesting, etc. will scatter the plants further, often in a seemingly random pattern. So as I look at the information observed in the GM wheat reports, what I see is not evidence of sabotage, but rather evidence of a single GMO wheat seed finding its way to the site 1 or 2 years before it was detected. If just one seed finds its way to a site (which again, could occur by MANY methods), that seed will grow and produce seed. A typical wheat head can easily produce 20 seeds per head (many more under typical agronomic conditions, perhaps less if growing in stressful conditions like a non-irrigated roadside in Alberta). After the wheat plant produces seed, that seed will fall to the ground, which may show up the following year in a small clump of seedlings. If the area is tilled, or mowed, or harvested, the seeds will be scattered somewhat more, but still in a relatively concentrated area. So the following year, we will have a small smattering of wheat plants carrying the HR trait (which sounds similar to what the reports have stated in most cases where GMO wheat was found). If glyphosate is sprayed, then it is quite possible that those plants will be noticed and reported. But if the area is tilled, or sprayed with a different herbicide, or just left to grow, it may not be noticed at all, and the patch could either be eradicated, or possibly some seeds will survive to grow the following year, possibly in an even more scattered pattern. So based on what I’ve read about the GMO wheat cases (which is limited, and I’ve not visited any of the sites), it seems to me this is a far more likely scenario than a bad actor intentionally trying to disrupt the wheat market. Unlike the saboteur scenario, the only assumption this scenario requires is 1 or 2 seeds making it to the sites a year of two before the sites are discovered. Perhaps a migratory bird ate some GMO wheat seed in a field trial and moved it off site. Or a harvester was cleaned thoroughly but left a single seed somewhere inside, only to come out later in a different field. Or a seed packet got mixed up. There are so many, very plausible ways in which a very small number of GMO seeds could have made it into a tiny number of seed lots. Adventitious presence so low that it could never be detected even under rigorous sampling schemes. 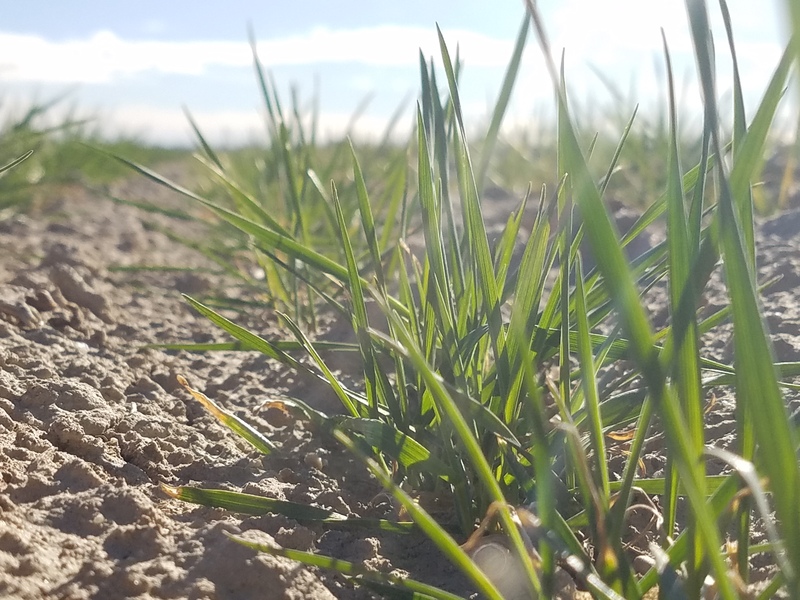 The only time it would be detected is if 1) a seed makes it into a field where it can produce seed carrying the trait, 2) some of that seed isn’t harvested and falls to the ground, and 3) the site is sprayed with glyphosate the next year when that seed emerges. I’m not going to calculate how many billions of wheat seeds are planted each year, and how many of those acres are sprayed with glyphosate the next year. But my guess is that just by chance, having 4 instances of this occurring with no ill-intent is actually quite likely. 1I can’t find many details on the Montana case, which was on a University research farm where GMO wheat had been previously tested years ago, so it may be somewhat different.